A natural paradise for Heck cattle, wild ponies, and deer is also where Porsche customers can navigate their Cayenne and Macan. 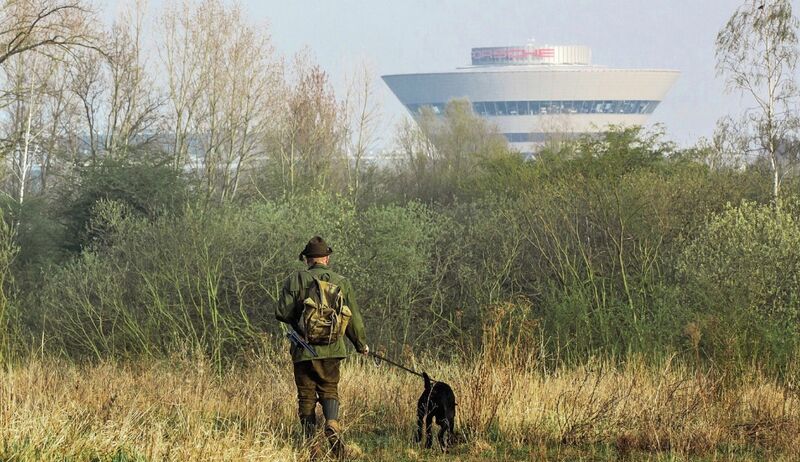 This off-road terrain at Porsche’s Leipzig site is a remarkable natural habitat. For Bertram Schultze it’s simply his preserve. It’s shortly after six in the morning, and the dark of the night is giving way to shooting light. That’s what hunters call the first traces of dawn by which they can spot the presence of game. For Bertram Schultze, it’s the moment to shoulder his firearm. The triple-barreled shotgun has a special story—but that’ll have to wait. Schultze’s hunting dog Kalle, a mixed-breed German wirehaired pointer and Labrador, leaps eagerly out of the car and dives straight into the bush, his nose never far from the dew-covered ground. Off on a hunt! Schultze strides rapidly through the grass after the eager hound. The morning light slowly peels back the darkness from the contours of the land. Hawthorn bushes form prickly islands on an expanse of matte green. A chorus of birds rehearses the soundtrack for the emerging day. Two red kites circle overhead in the deep blue sky. This prompts Schultze to reminisce about the African savannah, before abruptly stopping and calling out, “Here, Kalle!” The dog breaks out of the undergrowth and comes straight to the hunter’s feet. Schultze peers through binoculars at two roebucks a few hundred meters away. The hunter and his hound—Bertram Schultze spent years hunting alone but now has a loyal companion. This terrain, which looks like something out of Africa, lies on the outskirts of Leipzig, bordered by freeways and industrial parks. When the wind shifts, the rumble of engines can be heard faintly in the distance. On the horizon a UFO-shaped building, nicknamed the “Diamond” by Porsche employees, seems to stand on the point of a cone. This futuristic structure houses the customer center at the Porsche plant in Leipzig. More than six hundred Macans and Panameras are manufactured every day at this location in eastern Germany. The adjacent game preserve was a military training ground during the German Empire and was more recently used as a place where the National People’s Army of the German Democratic Republic prepared for armed conflict. Since 2002 Porsche has cared for the 132 hectares as an ecological compensation area for its production site. The land was restored and is now used to experience Porsche models under off-road conditions. It’s also home to Heck cattle, Exmoor ponies, and around three million bees—one way in which the sports-car maker seeks to preserve nature and the environment. One measurable result, for example, is the Turbienchen honey (a play on the German words for “turbine” and “little bee”) produced in the game park, more than four hundred kilograms of which were sold last year. Schultze leans against a fence separating the pasture area from the driving grounds. Here’s where he has arranged to meet Carsten Helling, who’s responsible for the compensation area’s maintenance. Right in front of the two men, a group of Heck cattle with imposing horns is grazing. It includes a number of powerful bulls, each weighing more than a ton, as well as fleecy calves just a few weeks old. The herd started off with a dozen or so animals but now numbers around seventy-five. Suddenly, as if answering a silent summons, the cattle lift their heads and gallop off. “The Heck cattle are important for the ecosystem, because they keep the undergrowth in check. The combination of open spaces, bushes, and trees is an ideal biotope for wild animals, birds, and insects,” says Helling. He has watched over the herd for years, monitored the animals’ health, and supplemented their food in harsh winters. 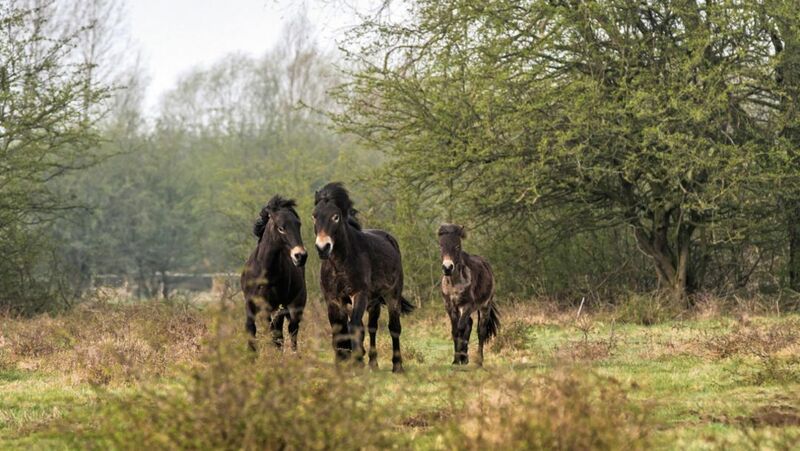 He describes his work with evident pride, along with the fact that Exmoor ponies are regularly given to associations in the region to keep their number constant in the preserve. These cattle are sometimes called aurochs, but the correct name is Heck cattle. 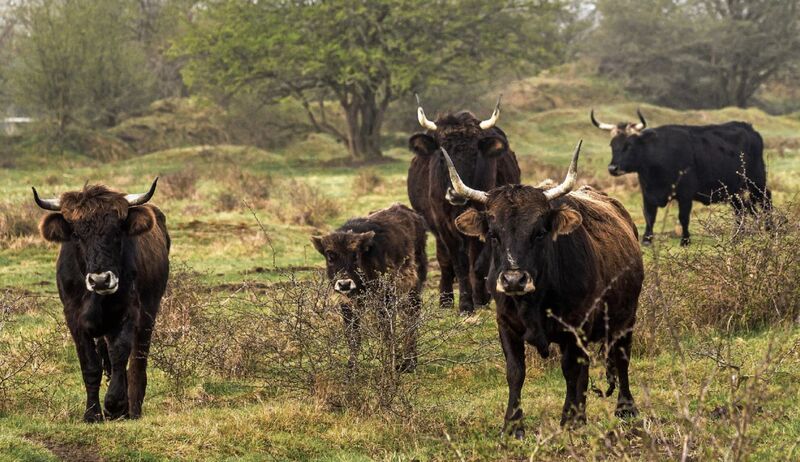 Whereas aurochs have long been extinct, Heck cattle were bred a century ago from stock across the world. Since 2002 Schultze has been commissioned by Porsche to cull the preserve’s roedeer, fox, hare, raccoon, and raccoon dogs in order to ensure an ecological balance between flora and fauna. He shoots a handful of deer every year. Hunting is a passion for him, not work. 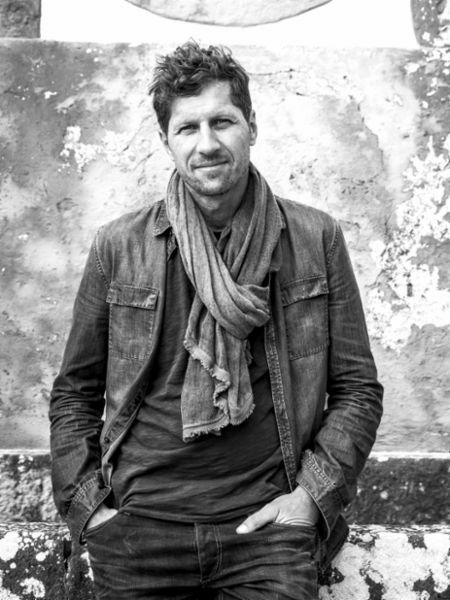 That awaits him in his office at the Leipziger Baumwollspinnerei, once one of Europe’s largest textile factories, which as CEO he has converted into a flourishing center for the arts. The architect and project developer runs similar facilities in Berlin, Hamburg, and Nuremberg. With steep ascents, slippery slopes, and knee-deep waterways, these off-road grounds have a six-kilometer-long obstacle course with fifteen modules that can test the limits of performance for the Macan and Cayenne. Porsche customers may try out the course either alone or in teams as part of a factory pickup or a special program. Catered events can be organized as well.